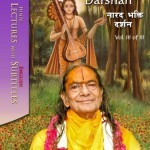 Krishn plays His flute in three-fold bending posture as He looks mischievously towards the gopis. Statue is 11 inches tall. 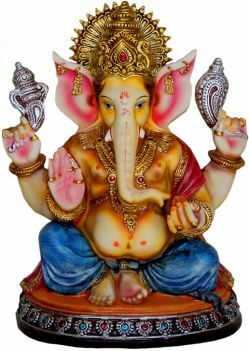 Ganesh is the Ever-Blissful, elephant-headed God, who is lovingly worshipped and revered by millions of people worldwide. Lord Shiva is represented here in the form of “Linga”. This fountain shows Ganesh embracing the Shiva Linga. 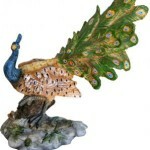 This beautiful fountain is made from high quality resin, with meticulous hand painting to exhibit the fine details. The brilliant waterproof paint makes this fountain ideal for decoration. 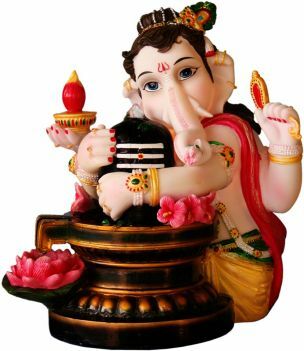 Bring this most beautiful Ganesh Lingam fountain to your home and be blessed with wisdom, wealth, health, fertility and happiness. The water flows from the top of lingam into the lotus flower. There is an internal light in Ganesh’s body which makes the fountain glow in the dark. Intricately detailed and hand painted Ganesh statue in resin material. Ganesh is suitably equipped to hear the prayers of those who petition him to remove the obstacles on their spiritual path. One of Ganesha’s names is Buddhipriya. The word priya means “fond of”, and in a marital context it can mean “Fond of Intelligence”. Radha and Krishna sport near an enchanting waterfall on Govardhan Hill. Water cascades down from the stream behind towards the lakeshore, where the Divine Couple stands. 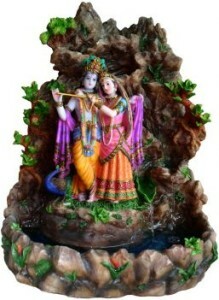 This beautiful fountain is made of high quality resin, with meticulous hand painting to exhibit the finest details. The brilliant waterproof paint makes this statue ideal for decoration and festivity. 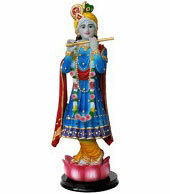 Shree Krishn through deity is described as being very beautiful and dark greyish blue like a monsoon raincloud. 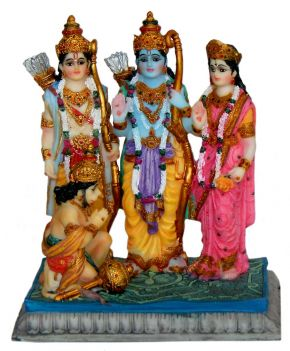 Lord Rama is one of the many popular figures and deities in Hinduism. 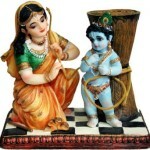 Especially with wife Sita, whom Hindus consider to be an Avatar of Lakshmi and the embodiment of perfect womanhood. 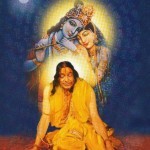 Along with, Lakshman, Lord Rama’s devoted brother and Hanuman. 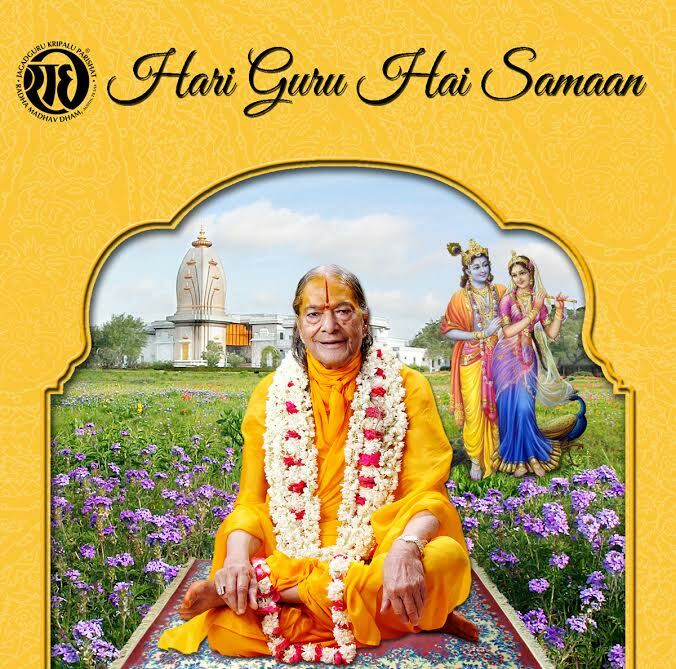 Hanuman is the embodiment of devotion to Sita and Rama. 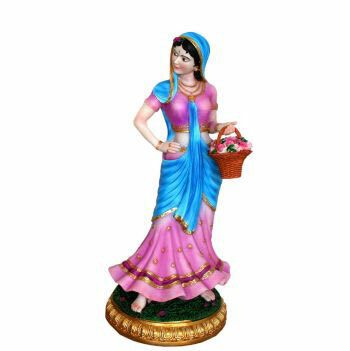 This beautiful statue is made in high quality resin, with meticulous hand painting to exhibit the fine details. The brilliant waterproof paint makes this statue ideal not only for decoration, but for altar worship as well. This beautiful figure of Krishn stealing butter is hand painted. The classic pose of the ultimate Thief is unique with His enchanting flute close by His side. 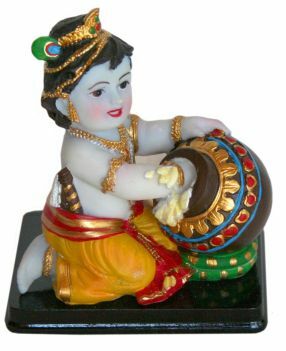 Krishna and Balram are exhibiting Their much-loved pastime of stealing butter. The soft butter is dripping on the floor, and soon Their hands, cloths and faces will be covered with it as well. Fine quality resin, hand painted to exquisite detail. 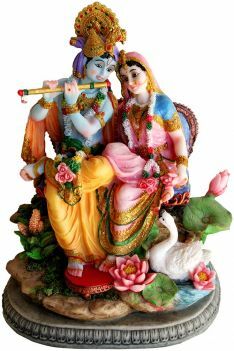 A very fabulous deity of Shree Krishn and Radha Rani. The detailed work with vivid colors and the depiction of their royalty adds to the beauty of the whole deity. Thus this can be used as a home decor item or it can also be gifted to your near and dear ones, so that everyone experiences the divine inspiring love of Shree Radha and Shree Krishn. 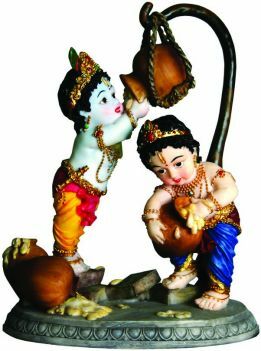 Exquisitely sculpted statue of Gopi. The beautiful flower basket she holds is removable. Fine quality resin, hand painted. 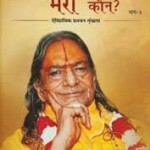 Don't procrastinate starting spiritual practice; the human body is temporary and destructible.